This is the season. I know it in my heart. But it is difficult to feel it without the snow, carols, lights, and family. That magical time that sweeps you in good tidings from Thanksgiving to New Year’s Day. Ahhhh. I crave it. For the second consecutive Christmas season, I am without my family, in a place where Christmas holiday season is hard to come by. And the missing is more this time. As beautiful as Ramadan and Eid were to experience, and as much as I look forward to discovering more holidays in the world; when certain traditions have filled your heart every year of your life, you struggle when you go without. The cider, the snow, the family, the lights. 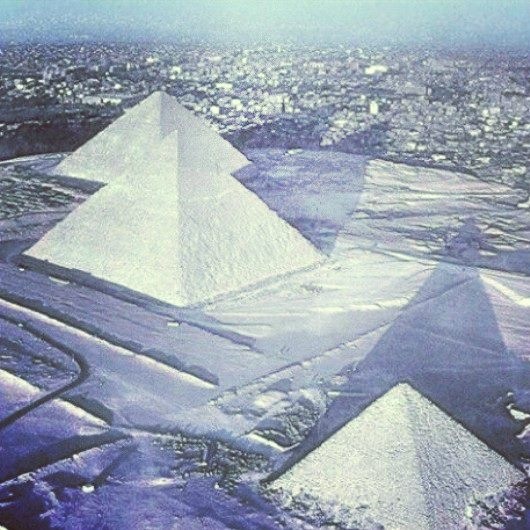 And then, as your longing starts to multiply on itself, it snows in Cairo! First time in 112 years. Lovely and miraculous. But it sure did make a mess of things. People went outside and really started to look around them. 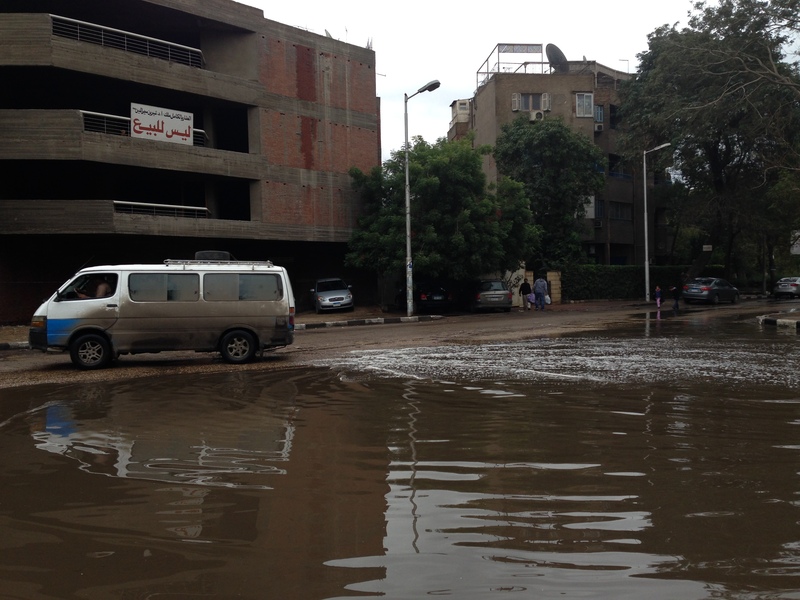 Mohamed Radwan took this photograph after the snow in Cairo, and it made me stop. Wow. I stared at it for awhile, breathless. Yes, Christmastime is the snow and the hot apple cider with a cinnamon stick and the family, but it is also compassion and international kindness. It is beyond religion and competition. It is time to look around, take some deep breaths, and think of others. I take a deep breath for the man out in the cold. To be homeless in the winter. To be alone with your thoughts, dark or warming. 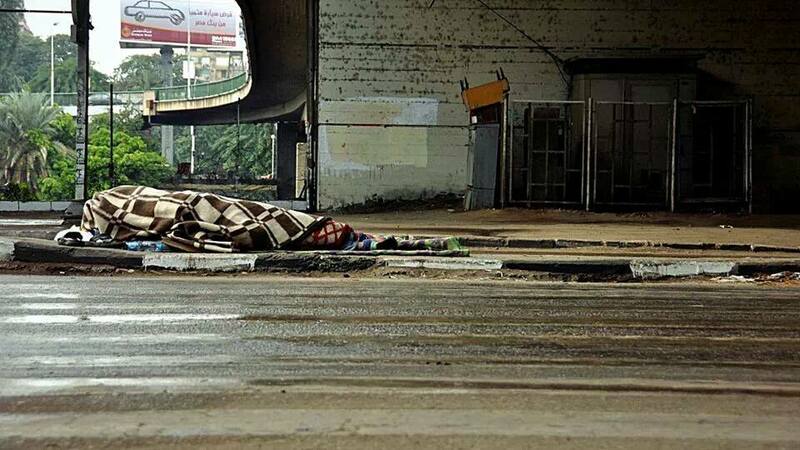 To live without shelter, without family, without pillow, without privacy. I admire his gifts of quiet resilience and humility. I take a deep breath for the refugees, without refuge. Those young and old without the right or the safety to return to their home and to their traditions. I am starting to feel and understand their story; and I admire their hope. I take a deep breath for the parents torn by the loss of a child this year, in any country. A child’s life ended by disease, crime, war, accident. A tiny face they see in an empty room. I cannot imagine losing a child and I admire them for their living fully with an open wound. I take a deep breath for the diplomats, expats, students, and military living in holiday-less areas, feeling honored but feeling like something is missing. For the names under the Christmas tree. I also take a deep breath in joy. Make that three deep breaths in joy, sending much gratitude to those who donated costumes and dollars to the dance project at 57357 Children’s Cancer Hospital Egypt. More than 100 costumes have arrived and the big event is set for next month. But in the meantime, seven little dancers with crew cuts in growth, a wig or two, and tumors in retreat took the stage at Cairo Opera House complex in brilliant costumes this week. It was UN International Volunteer Day. The stage was outside. It was 45 degrees and windy with a cold rain. The dancers braved it, more overwhelmed with their excitement to notice how cold they actually were. A few coughs and sniffles. They danced full out to Whitney Houston’s “Step by Step” and a hospital theme song “A Hope in My Heart.” The crowd applauded boisterously and clapped along, all smiles. The dancers skipped offstage in a cloud of joy. Bravo to Gana, Aya, Abdel Rahman, Dina, Khaled, Hleen, Sharouk! One little girl was a bit self-conscious about dancing onstage in her crew cut. I showed her a picture of me bald after the St. Baldrick’s even back in Chicago. Her face lit up and she got the boost of confidence she needed. Click here to see the photo album of the costume fittings, rehearsal and performance. And you can watch a quick video of rehearsal. So here is what I want for Christmas this year: Hot apple cider with a cinnamon stick. Sugar and ginger cookies shaped as wreaths and trees. Live musicians at the Fulbright Christmas party playing “Let it Snow” and excerpts from “The Nutcracker.” Healthy parents and a working Skype call with the family. A strong and healthy marriage to a good fella. Shelter for those who seek it. More faces like these at all the children’s cancer hospitals and wards in the world.